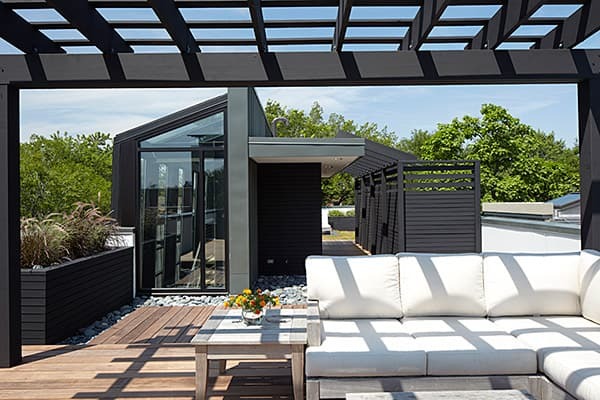 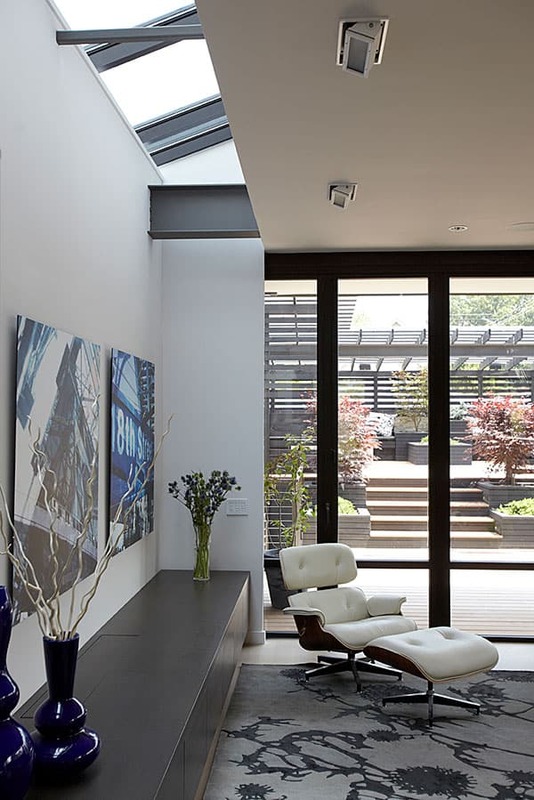 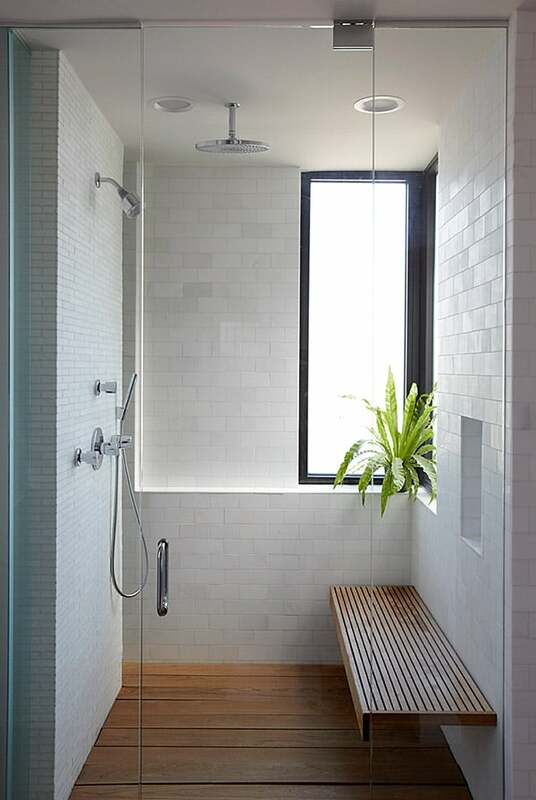 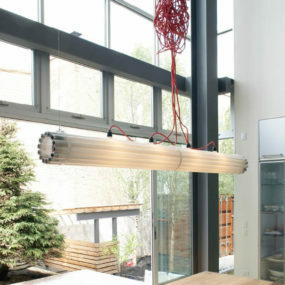 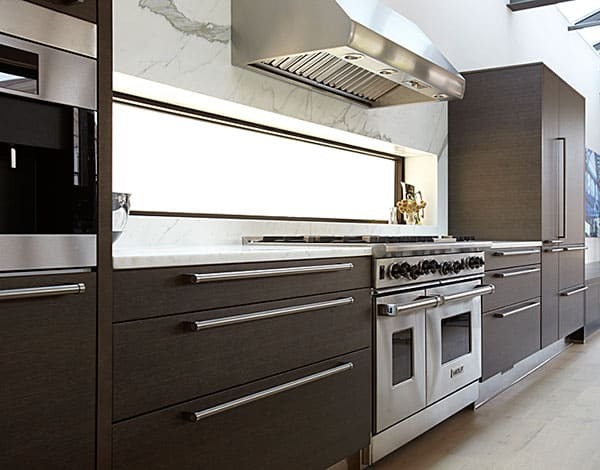 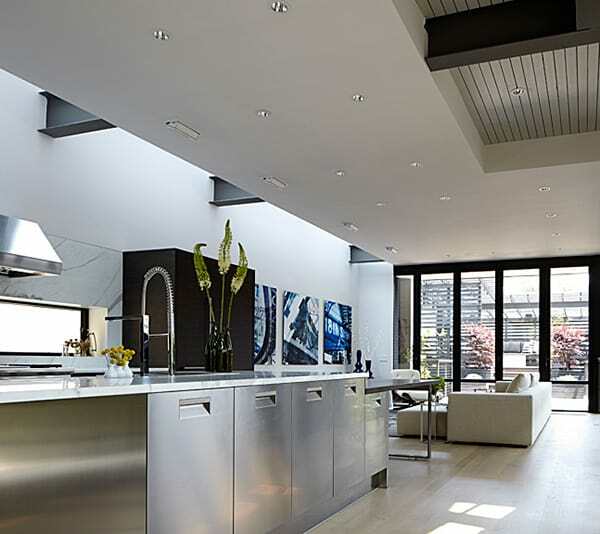 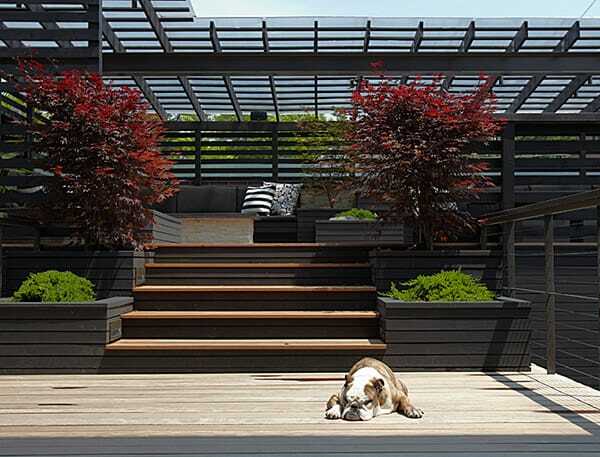 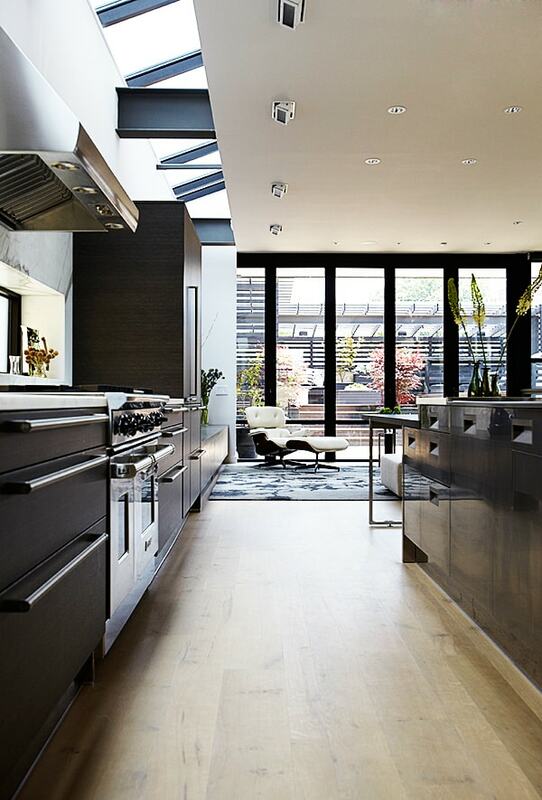 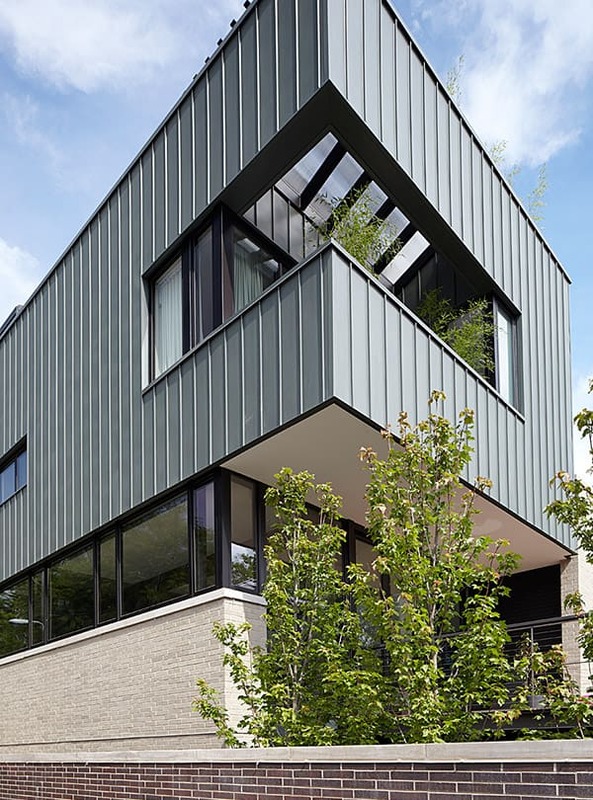 There’s nothing conventional about this Chicago modern house design by Ranquist Development. 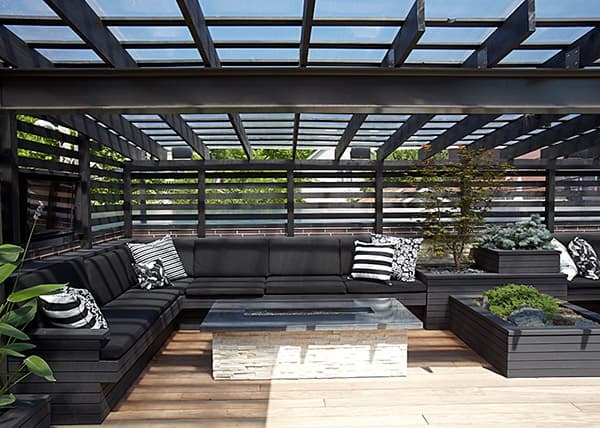 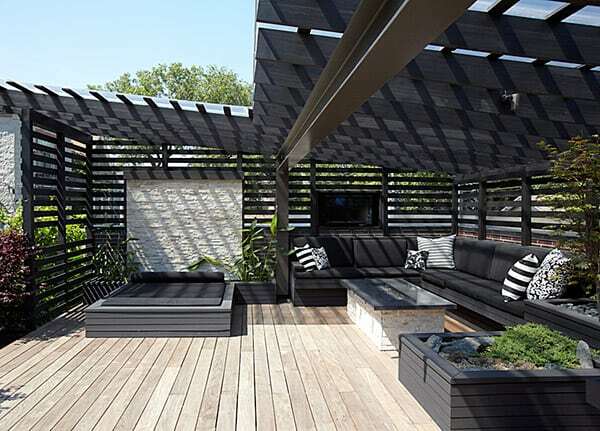 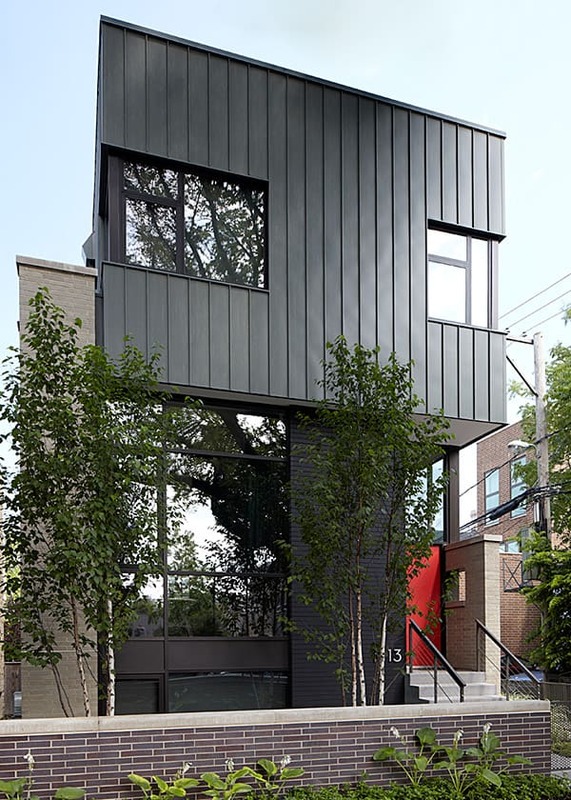 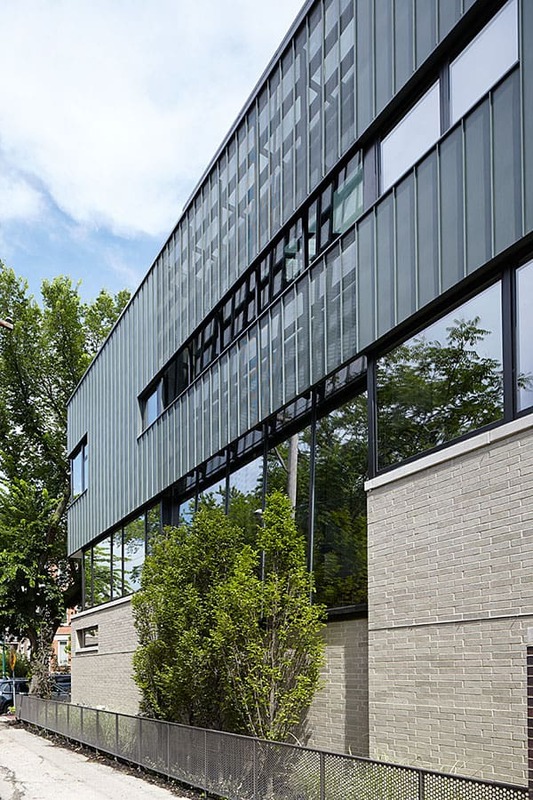 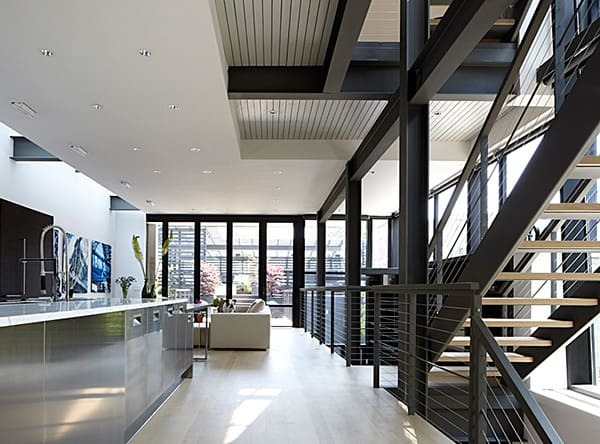 Characteristic for its contemporary squared silhouette, vertical emphasis, and concrete and steel exterior, this house on Wood Street in Chicago’s Bucktown neighborhood has an amazing connection to the great outdoors through glass walls that enclosing the main living area. 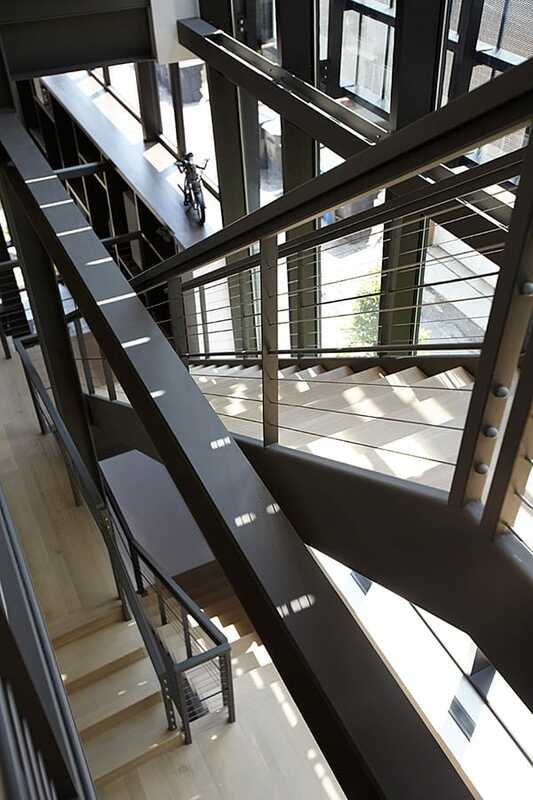 The first floor is made up of a series of stepped planes, allowing for a great, open-concept interior promoting a social scene, while still providing distinct areas and private living space when you need to get away. 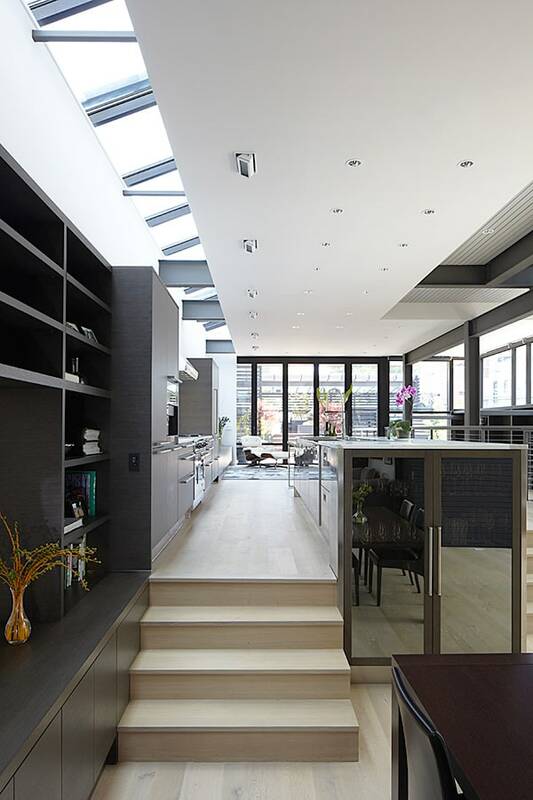 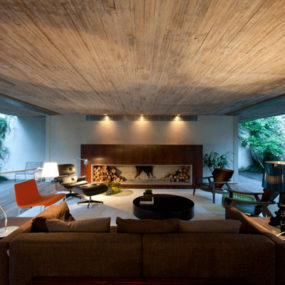 A skylight runs the length of the main living room, flooding every corner with natural light. 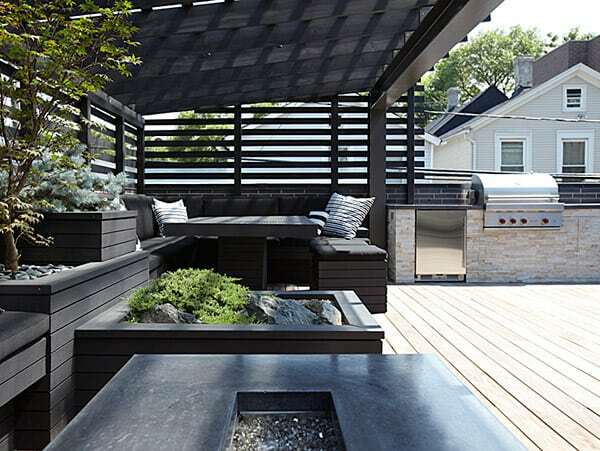 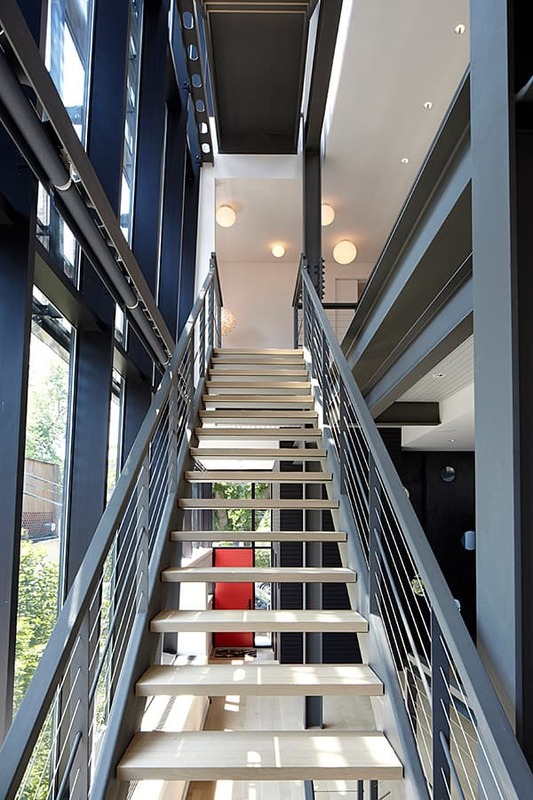 An awesome industrial-style staircase leads you up through the house to the rooftop patio, a sure favorite and frequent escape without ever leaving home. 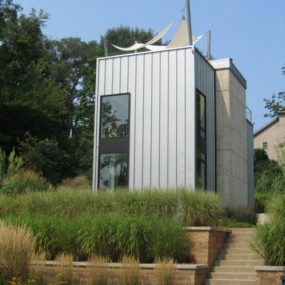 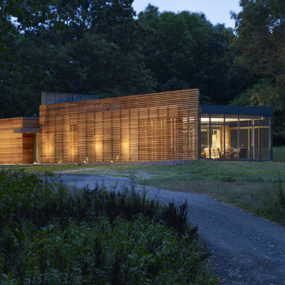 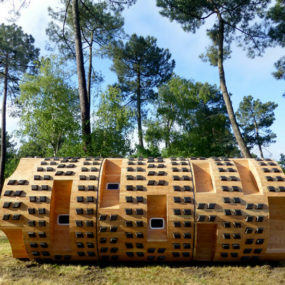 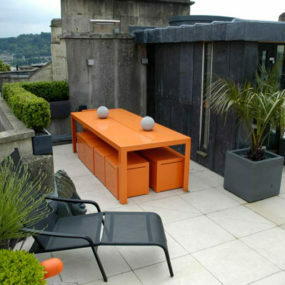 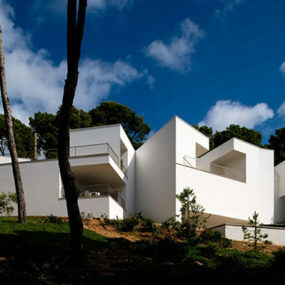 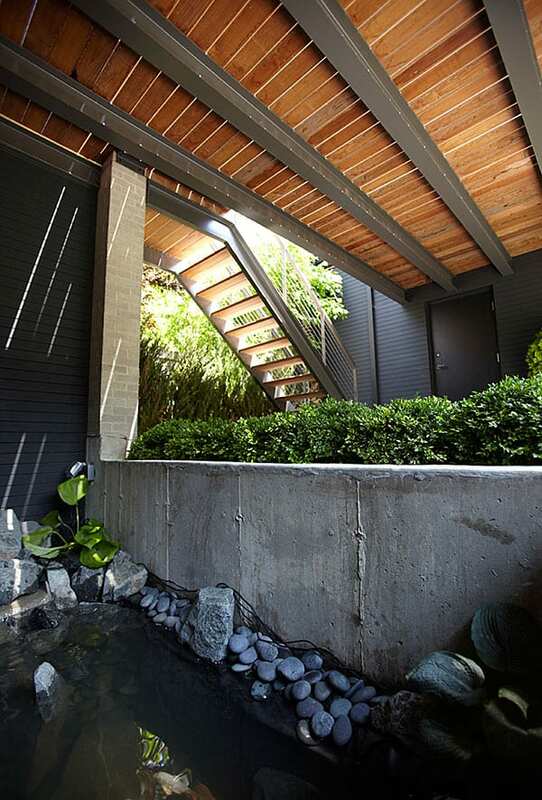 Unique – especially in an urban house – is how the architect integrated nature and the outdoors into the plan. 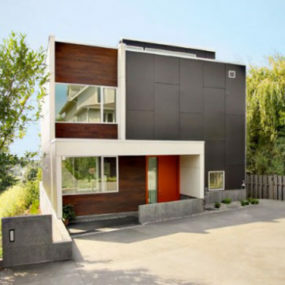 Ranquist Development.